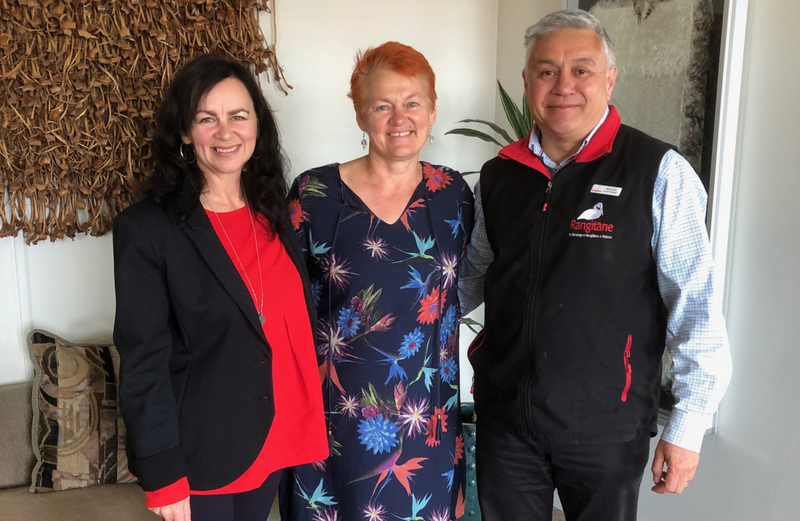 It was a great start to the week in the office, we had a visit from Te Putahitanga CEO, Helen Leahy (pictured) on Tuesday. Last week was very busy with Trust and Company hui on Friday followed by the AGM on Saturday. I would like to thank Madelene, Risman, Elsie, Donna, Sarah, Jodie, Diane and Deedee for the huge amount of work that went into this event. We intend to hold next year’s AGM earlier in the year, so that it’s closer to our end of financial year which is on 31 March. Te Ipukarea (Pā Wars) is on this Saturday at Lansdowne Park in Blenheim. The games start at 9am. We have teams entered in every grade in every sport, with absolutely no pressure to win of course. There will be lots of kai for players and supporters alike with a great day anticipated. If you are not in a team, come down and share in the atmosphere by cheering on our teams. There will be a mihi whakatau at Ūkaipō, 6pm Friday night (23 Nov) for those who would like to come along, we’ll see you there. Tomorrow night some of our Trustees will be attending the 2018 Māori Language Awards in Wellington where we are finalists in the iwi category. This is something to be very proud of and the award recognises the huge effort that has gone into Tangata Rau, Reo Kotahi by Trustees Janis de Thierry and Jeremy MacLeod. Next Thursday, (29 Nov) 6pm at Ūkaipō will be the monthly operational Kanohi ki te Kanohi meeting. Numbers have been dropping for these meeting so we will be reviewing the format. It is likely that in future these meetings will only be held on request or if we have a special topic/guest speaker for the evening. I am interested in any feedback regards this as the meetings need to be relevant and useful.